Jason’s Marathon Effort for Cancer Research UK. 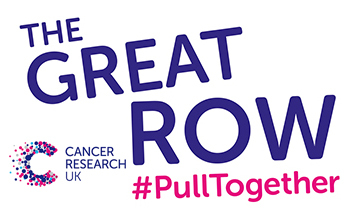 Whilst all eyes were on the Tideway last weekend, one of our members took on the epic challenge of erging his way through the marathon distance in aid of Cancer Research UK’s Great Row back at the YCRC boathouse. The Great Row challenges rowers to row a marathon during March, at their own pace, either as part of a team or as an individual. Jason, a member of our Senior Men’s squad, took the challenge squarely on his own shoulders (and legs!) and wrote off the distance in an impressive 3:02:56 of rowing time [3 hrs 45mins including breaks every 10.5kms] – a fantastic effort for a cause close to many hearts, and “hard work, especially the last 5km, but well worth it” – well done Jason! Devastatingly, 1 in 2 people will be diagnosed with cancer in their lifetime. But advances in science have put cures within our grasp and cancer survival rates have doubled over the past 40 years. Consistent progress is being made but improvements to technology and ground-breaking work offer new opportunities to find different ways to prevent, diagnose and treat cancer and improve survival rates even further.